The fast food drive-thru (spelled “thru” because words that contain more than five letters are frowned upon at many fast food establishments) is one of the many gifts bestowed on mankind by the gods of the frozen patties. It’s quick, easy, and lets you obtain food without ever having to leave your vehicle; you don’t even have to wear pants if you don’t want to. But there is a dark side to the drive-thru. If you’ve been to one in the last few years, you’ve no doubt found yourself having to go through ketchup negotiations. Ketchup is the most valuable fast food commodity. Without it, your fries are tasteless, naked, and shameful. And like gold or oil, it is a resource that you must fight tooth and nail for. In days long ago, the drive-thru worker would include with your meal a few packets of ketchup. It was a happy time when all was right with the world. But these days, as you pull away from the second window and look inside your bag of food, you’ll no doubt be struck with a stunning realization: there is no ketchup. None. Those heartless cretins keep the red goodness to themselves and you are left ketcupless. This happens every time you go to the drive-thru. The ketchup gluttons at McDonald’s and Wendy’s simply will not give you ketchup unless you ask for it. Having to ask for ketchup at the drive-thru is like having to ask for anesthetic before a kidney transplant; there’s no one who wouldn’t want it, so you’d think they’d just give it to you automatically. So now you have too much ketchup. After you’ve devoured all your tasty French fries, there are still a good dozen-or-so ketchup packets at the bottom of the bag, staring at you. Some people think, “I’ll put the ketchup packets in the fridge and use them later.” But you’ll never end up using all the ketchup packets because by the time you’ve used up one batch, the sarcastic ketchup glutton over at the Burger King drive-thru overloads you again and you have a brand new mountain of packets in the fridge to work through. You’re trapped in an endless ketchup cycle! 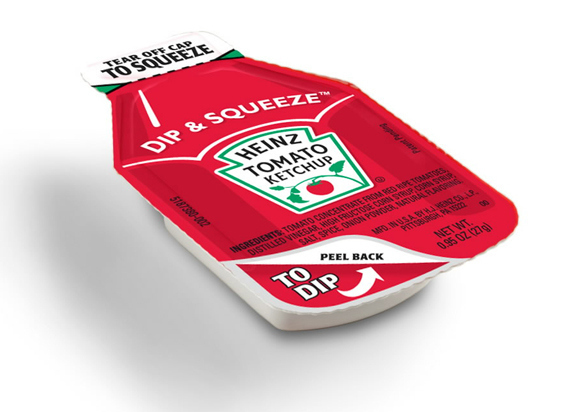 These hold more ketchup than the old packets. But how much more? No one knows. Let’s say that, before the new packets were introduced, you needed five ketchup packets to adequately cover all your fries. How many of the new packets do you need? Two? Three? Six? You’d better get it right or your ketchup-to-fry ratio is going to be skewed. 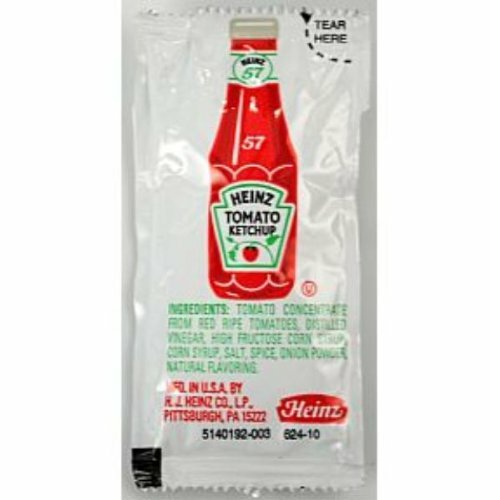 These new ketchup packets have completely screwed up the ketchup packet exchange rate. Or you could just go to Taco Bell, where ketchup isn’t an issue.